Delighted to be taking part today in the blog blitz to celebrate the book birthday of The Ghostly Father by Sue Barnard. My thanks to Rachel Gilbey of Rachel’s Random Resources for inviting me to take part and to the author and publisher of the book for my gifted copy, which I have reviewed honestly and impartially. Make sure you check out the details of how you can enter the giveaway to win a signed copy of the book further down the page. Think you know the world’s most famous love story? Think again.What if the story of Romeo & Juliet really happened – but not quite in the way we’ve all been told? I’ve always had mixed feelings about sequels and prequels and retellings of my favourite stories when they aren’t done by the original author and I tend to avoid them. I’m always slightly worried that they won’t be quite as good and might spoil the story or the characters from my most beloved books for me. This happened to me when I saw the film version of Staying On by Paul Scott, a book I adore but could not read for years afterwards and, as they say, once bitten, twice shy. As a result I haven’t watched the film versions of My Sister’s Keeper or The Time Traveller’s Wife, the recent TV adaptation of Anne of Green Gables or read any other versions of Pride & Prejudice, Rebecca or Wuthering Heights. You must be wondering by now what possessed me to pick up a book that is both a sequel and a prequel to one of the most beloved and enduring stories of all time, Romeo & Juliet. I can only assume it was a lapse in concentration. Or maybe it was fate because, despite any reservations I might have, I absolutely LOVED this book. I know, I’m as shocked as you are. After all I have said, I could not be happier that I picked this book up. I was gripped on the story from start to finish, I adored everything about it and it left me with a really happy feeling that this story exists in tandem with Shakespeare’s version. It has enhanced, rather than tainted, my love of the story and I am in awe of the author’s imagination. It always fascinates me the way people’s minds work and what different individuals take from different stories and it was interesting to see what Sue has chosen to focus on from the original tale. This book is written almost wholly from the perspective of the friar, who is a secondary, though important, character in the original story. She has given him and rich, full and pivotal story all of his own which is fully realised and detailed in this book beautifully. The setting of historical Venice and Verona is perfectly captured, and the author spares no detail of the societal hierarchy, clothing, manners, social norms, speech – it all feels authentic and roots the reader deeply in the setting and brings it to life. I loved the way she interwove quotes from Shakespeare’s play in to the text, together with quotes from the Franciscan Orders services and prayers. Being prose rather than dialogue and scene directions, Sue is able to give the characters more depth and personality perhaps than is possible in a play and can flesh out their inner thoughts, actions and motivations so we get a deeper understanding of what might be driving them (not to diss the Bard in any way, of course!) Like I said, this is a great spin on the original tale that enhanced my enjoyment of it and made me look at it from another perspective. It’s one of my favourite books of the year so far. If you are a fan of Romeo & Juliet, I’m sure you will enjoy this book very much and I recommend you give it a whirl. This is the second prequel/sequel that I have read recently and loved, the other being Miss Marley by Vanessa Lafaye & Becca Mascull. It might be time for me to address my prejudices in this regard. The Ghostly Father is out now and you can buy a copy here. I’m really happy to be taking part today in the book birthday blog blitz for The Secret to Falling in Love by Victoria Cooke. Happy book birthday, Victoria! My thanks to Rachel Gilbey of Rachel’s Random Resources to inviting me to take part in the blitz and to the publisher for my gifted copy of the book, which I have reviewed honestly and impartially. There is a chance to enter a giveaway further down the post, so make sure you enter. This was a really great, fun, light-hearted read for an idle moment where you don’t want anything too taxing but still want a novel with great plot and enticing writing. The main character of Melissa seems not to take life too seriously, at least as far as anything outside of work is concerned, until she hits her mid-thirties and starts to worry about being left on the shelf. This feeling isn’t helped by a mother desperate to marry her off to the next available bachelor she happens across! Cue a modern-day hunt for love via dating sites, Tinder, set ups by friends and chance encounters in coffee shops, whilst Melissa tries to discover the best way to find a partner in the twenty-first century. Her search is further hampered when she forced to go analogue for a whole month for a magazine article, and her man-hunting means are severely depleted. How did people find love in the dark ages? Add in to this the fact that this book is absolutely hilarious, and it will be a big hit with most readers. There were so many parts where I actually laughed out loud and The Irishman kept asking me what I was laughing at. Some of it was down to the scrapes that Melissa got herself in, some was just Victoria’s excellent turn of phrase, but this book really made me chuckle, so if you fancy something that is going to make you crack a smile, this is the book for you. The setting is mostly metropolitan Manchester, so good for anyone who enjoys a book which acknowledges that there are cities outside the capital, but also in a remote area of Scotland. Both areas are brought clearly to life and are integral to the story. Were there any negatives? I found one of the characters a little cartoonish and the ending felt a little rushed, but these are minor quibbles. I really enjoyed this book from start to finish. It was funny, honest, interesting and believable, with a big dollop of romance. If anyone is looking for the perfect read for Valentine’s Day, look no further, here it is. Start dropping hints to you other half now. Would go perfectly with some pink prosecco and a nice box of chocolates. The Secret to Falling in Love is out now and you can get a copy here. In case you missed my post last Sunday about my big birthday giveaway, I’m sharing it again. There is still time to enter, if you are quick! Sooooo, I am quite excited because next Sunday is my blog’s second birthday! I can’t believe it has been two years since I set up this blog and I am amazed at how far I have come in that time. The blog has changed substantially from what I initially set it up to be to what it is today, but I couldn’t be happier with where I am and the wonderful journey I’ve had along the way. 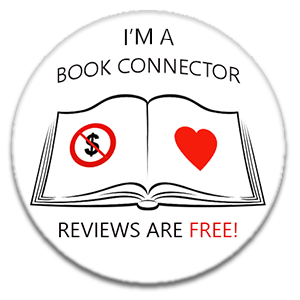 I’ve read amazing books, had great experiences and made so many fantastic new friends – it has surpassed all the expectations I had when I pressed ‘Publish’ on that very first post two years ago. Of course, all of that is thanks to you, my amazing followers. I truly appreciate the time that anyone takes to read, comment on and share my posts and it makes me so happy when people say they like my posts, or have bought a book on my recommendation, or take the trouble to engage with what I am saying. So, as a thank you, I have put together a fabulous bookish giveaway to celebrate this milestone. The prize bundle contains eight mystery paperbacks, which are a mixture of new books from the past twelve months and a couple of my favourite books of all time, in a range of genres. One of them is a book which has been kindly donated by the author of one of my top ten books of 2018, the wonderful Jo Furniss, so a huge thank you to Jo for her generosity and support of the blog. It also includes a pile of other goodies that will delight the heart of any book lover and, I hope, enhance their pleasure in reading the books they receive. I’d love to receive this prize if I weren’t the one giving it away! All you have to do to enter is to leave a comment on this post over the next seven days telling me what you like about my blog or letting me know which posts or categories you have particularly enjoyed over the past two years, or making a suggestion for a new feature you would like to see in the future. Make it as unique, funny or imaginative as you can. One comment will be chosen as the most interesting by a panel of my five daughters (ranging in age from 11 to 16), and the author of that comment will win the prize, so be creative. As I say, the competition is open for 7 days and the winner will be announced in a post on the blog on Sunday 20 January 2019. It is open to UK entries only I am afraid, due to the cost of postage of the prize. The decision of the girls will be final and no correspondence will be entered into. If the winner does not claim the prize within 7 days of it being announced, a second winner will be chosen to receive the prize instead. Good luck and thank you for all your support over the past two years, and here’s to the next two. I am delighted that it is finally my turn on the blog tour for this debut novel by my fellow RNA member, the lovely Jenni Keer. My thanks to Rachel Gilbey at Rachel’s Random Resources for inviting me to take part in the blog tour for The Hopes and Dreams of Lucy Baker and to Avon Books for my copy of the book, received via NetGalley, which I have reviewed honestly and impartially. Make sure you read down to the end of the post for details of a fabulous giveaway. 2019 has got off to a stellar start with the quality of the books I have read so far, and I guess it is a streak that has to end some time… but not with this book because this is a novel which has maintained the very high standard of reads with which I’ve started the year. It is a book which has wrapped me in a cashmere blanket of happiness and given me a long, warm hug, leaving me feeling tingly, moved and with a big smile on my face and a small tear in my eye. Quite a feat. The central story in this book is the unlikely friendship between Lucy and Brenda, which spans easily the decades that divide them age-wise. In most ways, age doesn’t matter because Lucy is mature and wise beyond her years and Brenda is young at heart, but in other ways the age difference is telling, because of the effect it is having on Brenda’s body and mind. Jenni displays the closeness between the two, but also this physical deterioration of the human body with such tenderness and pathos that the book can’t fail to grab hold of the stoniest of hearts and squeeze it until it feels something (a bit too much in my case, since I’m a big softy and blub at the slightest provocation). I was totally in love with both Brenda and Lucy. They felt very real and alive to me and their friendship was completely believable and genuine and just a delight to behold. They both really care about the other and want what is best for them, and they bring out the best in each other. They really understand each other and have so much in common, despite the age difference, which is the basis for a true and enduring friendship and it is just gorgeous. I really enjoyed watching Lucy come to life and blossom and expose more of her personality throughout the book. I felt like a proud parent watching her grow in confidence and stature across the pages. There were times when I wanted to reach into the pages and shake her, or warn her not to trust someone, that they were not what they seemed to be, and that it is the hallmark of a truly enthralling book, where the people are so real to you that you are completely engrossed in the story as if you are another character yourself involved in their lives. I was rooting for her all the way through, sharing her joys and triumphs and sadness and, when the book ended, I felt like I was leaving behind a good friend. Luckily, she will still be waiting there between the pages of the book next time I want to meet up with her. This is one of those lines that, as a writer, you mentally high-five yourself for writing and I gave the author a little cheer of congratulation as I read. It is also one of those ‘kill your darlings’ lines that you are always told you should cut (although the premise that you should cut any line you think is great always baffles me – you should just leave yourself with all the lines you aren’t happy with? Odd idea!) and I am SO glad that Jenni’s editor didn’t make her cut this one! From here on, I knew I was going to enjoy every word and there were numerous other bits I highlighted to go back to. What more do I need to say? I absolutely loved every word of this book and can’t wait to grab the paperback for my collection so I can come back to it next time I want a book that will just make me happy. Go and buy it and give yourself a treat. The Hopes and Dreams of Lucy Baker is out now as an ebook and the paperback, which will be released on 21 March, is available for pre-order. You can get them both here. Please enter the giveaway to win The Hopes and Dreams of Lucy Baker goodies (UK Only) by clicking the Rafflecopter link below. Prize contains – Thornton’s fudge, a Nu notebook, a Hopes and Dreams bookmark and a set of five “Scratbag” blank greetings cards designed by Jenni Keer. She is very tall and also carries around a knitted version of Poldark, so is easy to identify in a crowd!